By merging his own concept of personal idols with those of mainstream culture, Mars is able to focus his work on a deeper analysis of the Golden Age of American personalities. As an artist, he has always been fascinated with 1950’s and 60’s culture, and his early work reflects many of the architectural and mechanical icons from this era. Muscle cars, motels, logos and hulking monuments to the “modern” feeling of the time permeate his early canvases. More recently however, Mars’ artwork has shifted toward the culture of celebrity and he is amazingly attuned to the fact that these instantly recognizable and larger-than-life personalities continue to resonate with contemporary American culture. A graduate of Parsons School of Design in New York, Mars begins the creative process by preparing his surface with multiple layers of brown paper in order to define the edges and delineate the background planes of color. He then alternates layers of paint and vintage paper ephemera, sanding away portions of the layers as he works, revealing the desired portions of under painting with the overall intention to provide the viewer with a muted window into America’s past. Chronicling this fascination with 1950’s and 60’s iconography, Mars has produced a body of artwork from his studio in New York that celebrates the commonplace objects and icons of an America long past, in a thoroughly modern and exquisitely constructed manner. His eye for a distinct facet of American history is impeccable and his ability to manipulate the color and wordplay of vintage printed material has earned him reference with the likes of Andy Warhol, Robert Rauschenberg, and Richard Diebenkorn among other masters from the School of Pop. 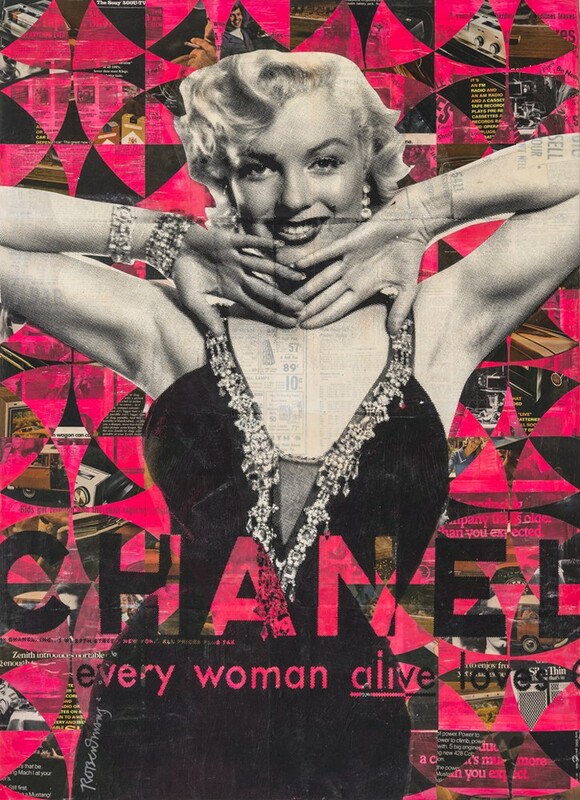 Robert Mars’ artwork is exhibited worldwide including museum collections in Munich, Tokyo, Amsterdam, London, Boston, New York, Los Angeles, Laguna Beach, Paris, Aspen and Naples. His artwork has also been selected for the upcoming Absolut Vodka 2012 campaign and he was also recently commissioned by Oceania Cruise Lines to create site specific pieces for their newest cruise ship, the Marina.